This is the Cuming Museum whats on page where you will be informed of all the latest events and new exhibitions taking place in the museum throughout the year. Sign up for our Free Ezine to make sure you are kept informed of new exhibitions and events taking place in London Museums. The ceramic artistry of the Martin brothers in the Arts and Crafts period. A rarely seen group of ceramics made by the renowned Martin brothers. Free sessions for the under fives and their families. Story Telling - Discover the story of Charles Dickens' childhood in Southwark . Families work together to create a new story to share in the museum. create your own map of Dickens' London. Celebrating 200 years since the birth of Charles Dickens. 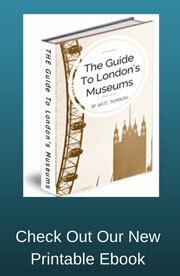 It explores his experiences of the Borough area of Southwark during 1824 when his father was imprisoned for debt . This is a photographic exhibition looking at the life of the Elephant and Castle area in London during the start of the 21st Century. Famous for its shopping centre the exhibition looks at the lives of people who have settled in the area and now call it home. The exhibition consists of photographs taken by Eva Sajovic who is a Slovenian born photographer and text to go with each image which has been gathered using conversations with people in the area written by Sarah Butler.